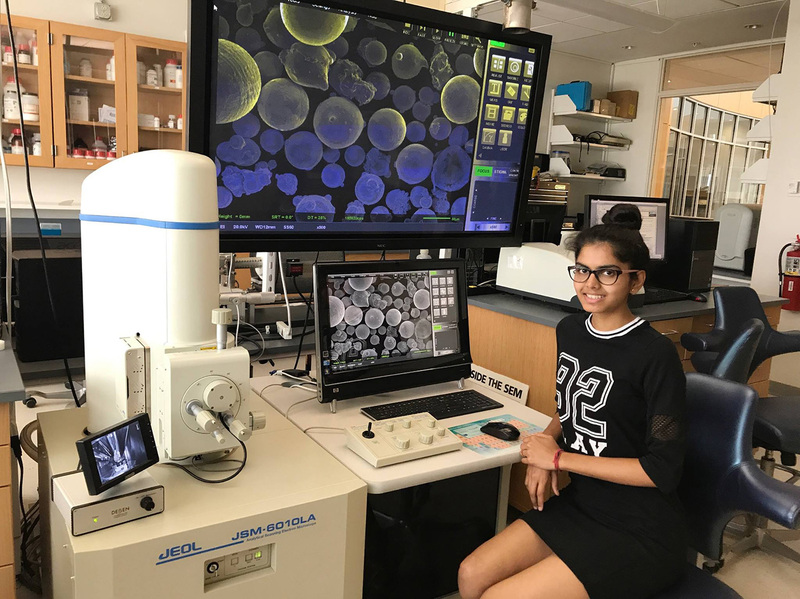 For the third year in a row, NC State has called on graduate students, postdocs, faculty and staff to take part in Envisioning Research, the university’s annual research image contest. The goal: to highlight the beauty and importance of the work being done at the bench and in the field, both on campus and around the world. 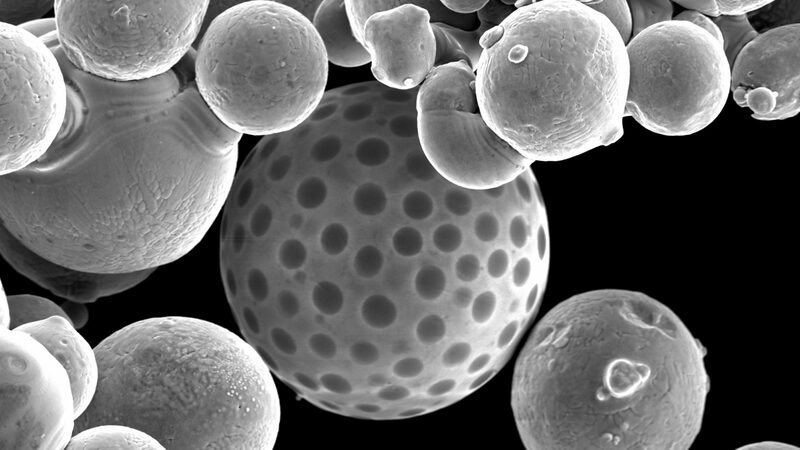 The scanning electron image shows a 60 micron Stainless Steel powder particle that resulted as a by-product from the direct metal laser sintering (DMLS) process. During the DMLS process, powder particles are ejected from the melt pool similar to the process that produces spatter in welding. The study of DMLS spatter characteristics is significant because it has potentially different morphology and properties than the original powder feedstock which is seen in the margins of the image. The unique formation of oxide islands on the surface of the ejecta particle give it an appearance similar to that of a golf ball and this phenomenon has yet to be characterized in published literature. The image will be recognized at D.H. Hill Library during Red and White Week, and then displayed in exhibits at both D.H. Hill and James B. Hunt Jr. libraries during the fall. The Envisioning Research contest is a collaborative effort by NC State’s Office of Research, Innovation and Economic Development, Graduate School, University Communications, College of Sciences, and NCSU Libraries. See other winner photos here.